Polyethylene sheeting is a film which can be extruded in a number of different methods. While most grocery bags are made from a High Density Polyethylene, Flexpak utilizes Low Density Polyethylene in cover design. Low Density Polyethylene allows for a water resistant membrane while giving poly stretch in manufactured products. 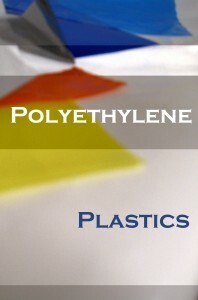 Low Density Polyethylene can be manufactured in covers with different color sets. A white/black coex film works well with lumber, wood, and products needing to maintain a cool package while reflecting the sun. White/black coex film allows for packaging design at Flexpak to be utilized in order for cost effective reduction of waste. While standard white/black coex film made into gusseted pallet covers has extra film, Flexpak manufactures a custom fit square cover which minimizes wasted film by the manufacturing process, therefore reducing costs. Colored films are possible, and Flexpak can manufacture a custom cover designed to meet the color code specifications of a given customer. From white to black, Flexpak can provide a cover design utilizing the full spectrum in full opaque character. Contact Flexpak at any point to discuss the type of poly packaging design that may be right for you.